1. To enter the Settings section, press Settings on the left of your dashboard. 2. 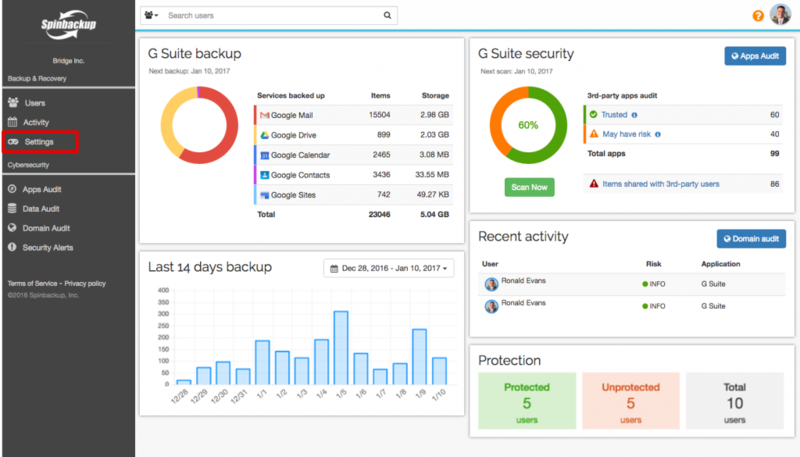 In the Services backed up desk you can set up the services, you want to be backed up for all users by default. 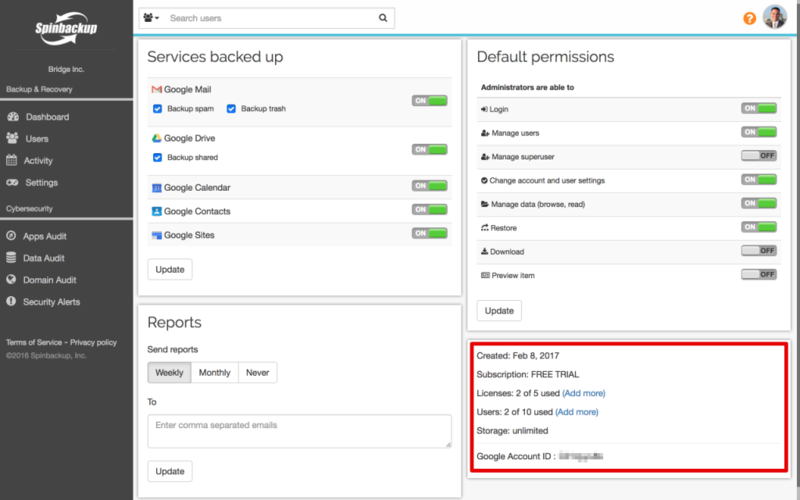 You can also select to backup or not to backup the Gmail spam and trash folders and the Google Drive shared items. To update settings, press Update. 3. 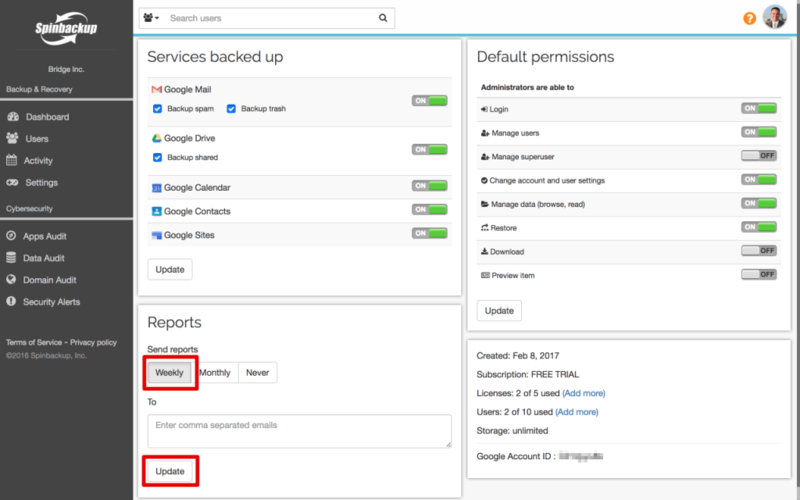 In the Reports desk you can set up one or several email addresses, the reports will be sent to. 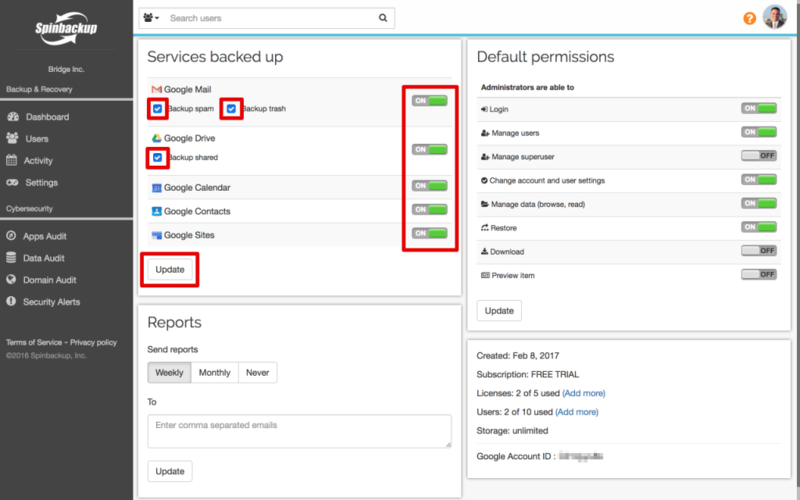 You can select the Spinbackup reports frequency (weekly or monthly) or turn them off. However, we strongly recommend you set up at least monthly reports. 4. 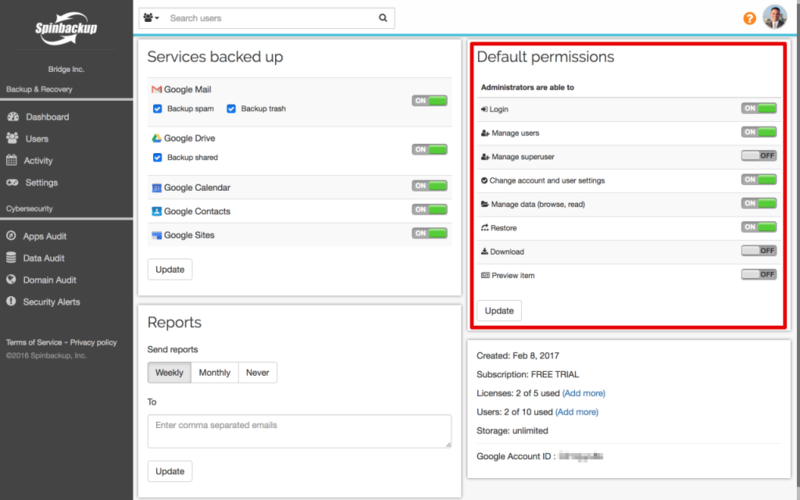 In the Default permissions desk you can set up the permissions for assigned administrators. To learn more about the variety of permissions, read our How to Assign Additional Administrators and Manage Their Access Levels article. Remember, you can always change all settings for individual users. Here you only set up the default settings. 5. On the last desk you see the main information about your account. You can also add more users and licenses to your account. To learn more about the Settings section, watch our Settings (video demo).